Communicating through printed material such as signs, images, and specialty products is all a part of being an effective and successful business. However, print services are also important for branding and marketing, as well as for other types of promotional events and activities. Finding printing services in Chicago can be a challenge as there are a lot of companies out there. 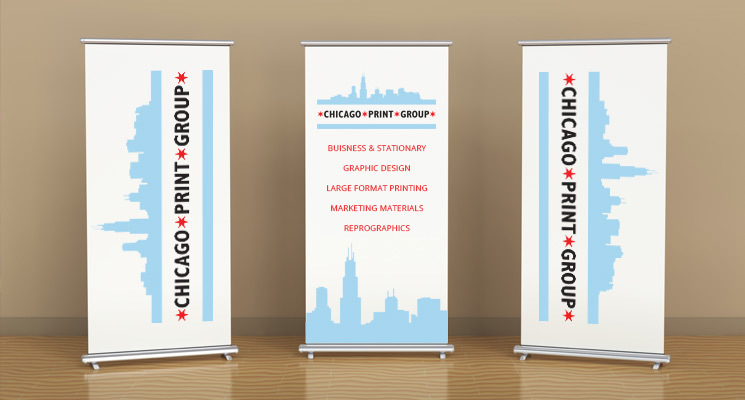 By carefully comparing not only the services they offer but the quality of print material and the customers they have, you will quickly see why Chicago Print Group is one of the best. Our printing services include all types of media and all types of printing requirements. We offer printing for signage, banners, and large format printing as well as color printing for posters, brochures, and photos. We also offer hardware and sign installation, binding, and mailing services. The Chicago Print Group is able to complete full digital printing for crisp, clean lines, clear text, and incredible photo-quality printing in reports, books, booklets, and brochures. All of our printing services are completed in-house on state of the art digital printing equipment. We take pride in providing the best in print services in Chicago, and our extensive list of satisfied customers is proof or our achievement of that goal. If you have any printing needs, we offer everything from in-person to online printing support. For information or to talk about a printing project, contact us at 312.251.1962, we are here to help.